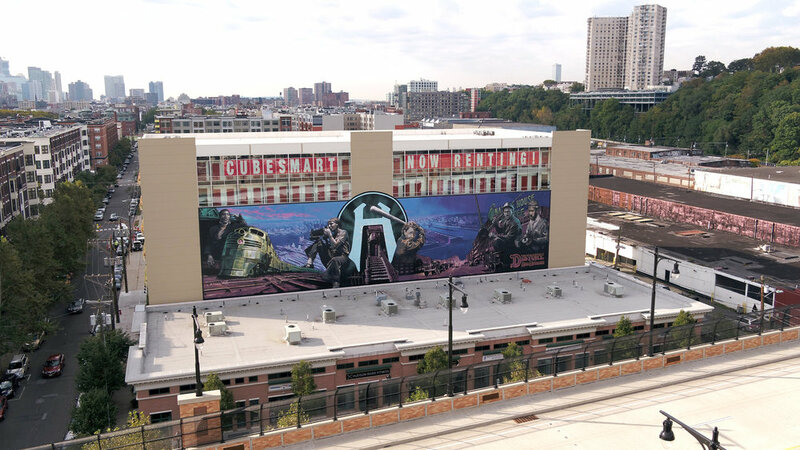 I had the unique opportunity to help the New Jersey artist known as DISTORT paint this 135 ft x 35 ft mural for the city of Hoboken NJ. Over the course of this 2 month project I assisted with all phases of the process using both acrylic paint and spray paint. 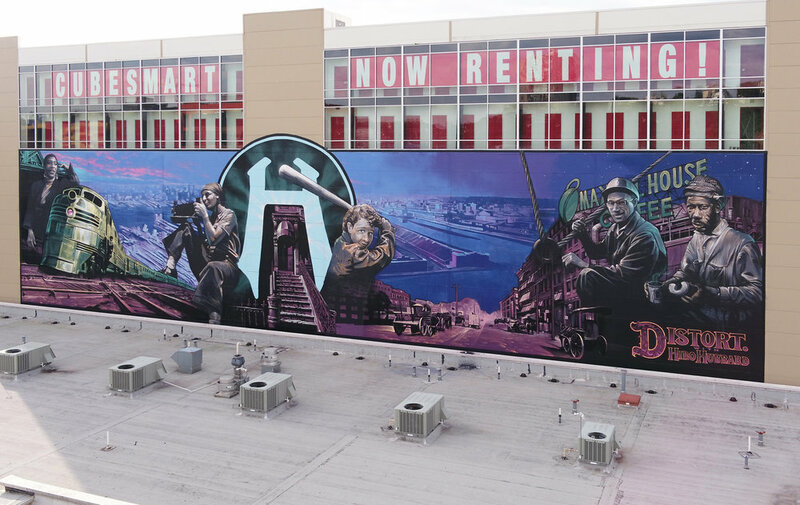 The mural depicts and pays homage to iconic working class people from Hoboken and its industry and docks that are now long gone.